There are few things in somebody's life really difficult to share with the rest of the world, especially when it comes to talk about anxieties, fears, dreams and hopes. 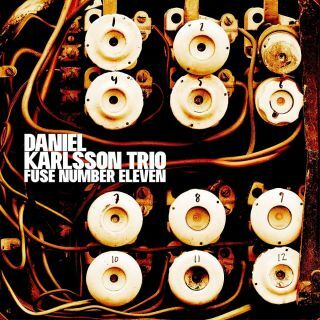 On this subject and having said that, there are very few artists worldwide left able to strip their souls down in such an honest and at the same time, spiritual way as well as the American singer and songwriter Dana Fuchs does. On her brand new record just released and called Love Lives On, the New York-based artist, despite coming from a very intense couple of years in her personal life, has managed to chisel, through this new album, an authentic musical masterpiece that highlights all the enormous artistic skills that Dana Fuchs possesses. Her voice is more powerful than ever, her autobiographical lyrics reach a compositional level of great depth and Fuchs' grit as a performer, on Love Lives On, resounds more alive and kicking now more than in any of her previous works. 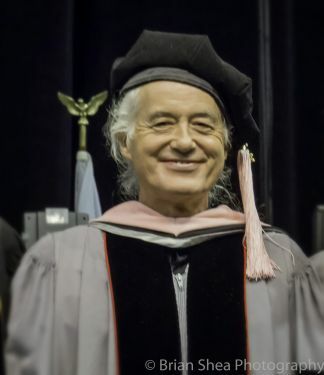 Two glorious decades spent into the music business expressing immense artistry and 14 albums under the belt would make most musicians wanting to slow down and enjoy the fun side of making music. 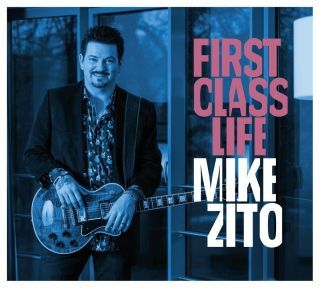 Maybe many would do so but not the Missouri-born guitarist, singer/songwriter and producer Mike Zito. At this stage of his life and music career, Zito is creating, as the years go by, artworks under form of records of a remarkable depth, quality and intensity, in an unstoppable, artistic progression developed especially in the last 5 years, since the Gone To Texas album. 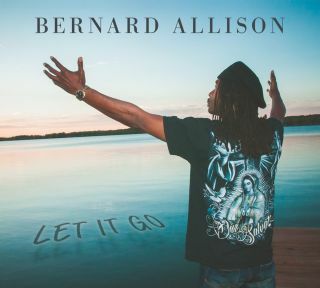 For many artists, a new record is like a new re-birth and this is a concept that singer/songwriter and guitarist Bernard Allison applies often in his records, especially when hard times hit him hard, as it happened in the making of his new album called Let It Go, using music as a therapeutic weapon to release all the negative things happening during the making of the new record. His 18th album had indeed met deep obstacles to overcome, emotionally, for the American artist. The loss of a brother and a sister in a relatively short amount of time had a profound effect on Allison, somebody that, in his life, had often faced painful situation, starting from the premature death of his father, the great Luther Allison. 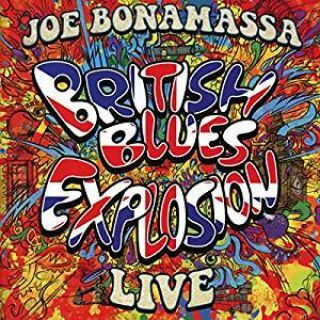 There is no doubts about the fact that American Guitar Titan Joe Bonamassa is one of the most skilled and talented blues/rock guitarist worldwide. As such, Bonamassa likes also to challenge himself continuously, motivating himself and his artistry by doing, from time to time, Tribute Concerts dedicated to those musicians that meant a lot to him, during his early years of guitar playing and perhaps, mean a lot still now. The American Guitar Maestro has never hidden his love and devotion to a time where Blues/Rock reached incredible artistic peaks, especially in the United Kingdom, thanks also to extraordinary guitarists that, just as Bonamassa is achieving in modern times right now, wrote memorable pages of music history through the 70's. The 70's have been, without a doubt, a decade that has created a vital turning point in the history of rock and roll. The genre was progressively moving, during that time, into new dimensions and forms, from Progressive to Psychedelia, from Glam to Hard-Rock. Many of the best records of all times came from this very important stage of rock & roll history and the genre was flourishing every day with new ideas, new incredible talents, new ways to move forward a music style so close to millions of people around the globe. 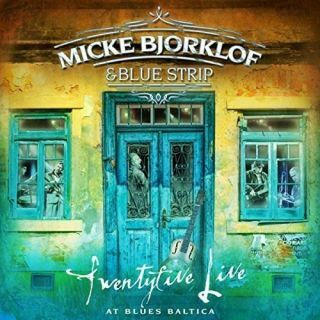 It's hard to believe that 25 years have gone by in the artistic life of Finnish Blues Baron Micke Bjorklof and his band of brothers Blue Strip. Formed back in 1991, at the core of the collective's backbone band leader, singer and multi-instrumentalist Bjorklof and bass player Seppo Nuolikoski have always been there from the beginning, with different band members replaced throughout the Finnish collective's history. Despite having recorded few studio albums throughout their career, Bjorklof and his band have built, throughout this last quarter of a century, a solid reputation and credibility as one of the most fresh and exciting live acts coming from Europe. 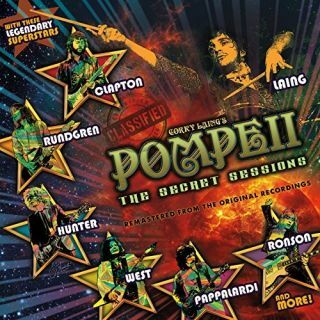 The secret being not just the strong individual skills of each band member, but also their winning blues/rock formula, one able to embrace and to amalgamate cleverly various elements belonging to different styles, from Blues to Latin, from Jazz to Rock.